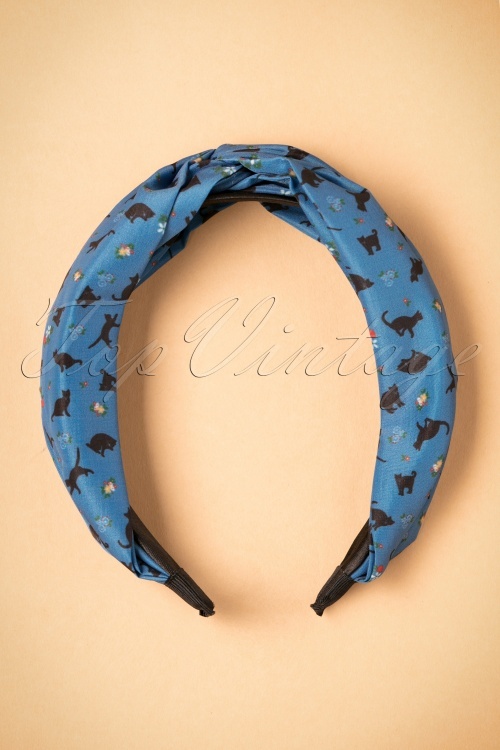 Complete your retro look with this 50s Turban Style Cat Head Band in Teal! If you're having trouble figuring out what to do with your hair sometimes, we've got the perfect solution, because with this broad hair band you'll create the most beautiful hair styles in an instant! 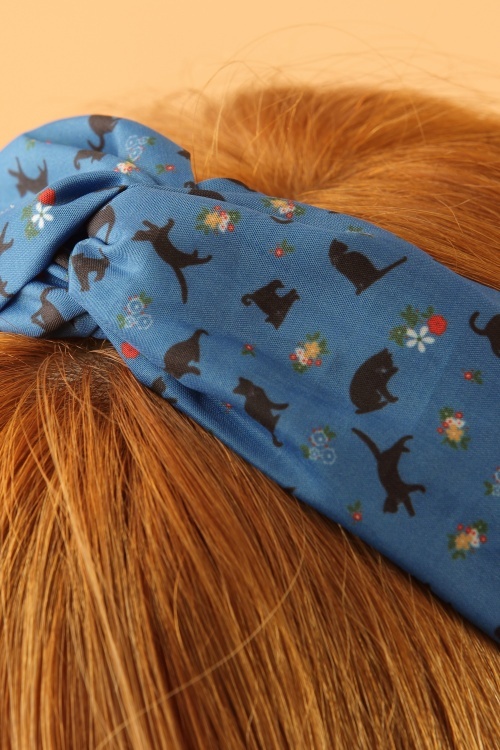 Made from a smooth fabric in teal, featuring cats and flowers, finished off with a firm strap so it stays in place all day. Purrrfect! Süß! Ein Haarreif, der aussieht wie ein Turban, wie praktisch. Farbe und Muster sind auch schön.